We are an Eclectic group of Yogis looking forward to meeting you. The Yoga Bala team welcomes you to our loving space. We take pride in helping our students reach their fullest potential with strong hands and a compassionate heart. Body Alignment, adjustments, and hands on teaching is our tradition at Bala. We are here to TEACH you everything we have learned from our teacher and pass on the lineage of traditional Yoga with a modern day style. Karrie AuBuchon is the founder and owner of Yoga Bala. She has been a dedicated yoga practitioner since 1991. Karrie is a yoga instructor and fitness trainer with certifications from Tim Miller (primary and intermediate series of Ashtanga Yoga), Mini Yogis, Yoga Education and International Sports Sciences Association. She is also certified at the highest level 500 E-RYT with Yoga Alliance. Karrie attended the Krishnamacharya Yoga Festival in San Francisco in 2003 where she was able to learn from the highly renowned T.K.V Desikachar. In 2004, she traveled to India for a month long study under the guidance of Shri K. Pattabhi Jois; the true master and creator of the Ashtanga Yoga System, and his grandson Sarath Rangaswamy. Karrie has had the privilege of learning from some of the most highly regarded yoga instructors including: Noah Williams, Tim Miller, Dominique & Matt Corigliano, Rolf Naujokat, Maia Heiss, John Friend, Kate Potter and Baron Baptiste. Karrie’ s primary training and personal practice are with the traditional practice of Ashtanga Yoga which is true to her heart. She also enjoys mixing it up a bit in her Vinyasa Flow classes which combine the practice of Hatha, Ashtanga Vinyasa Flow and Anusara. Karrie encourages all of her students to move past their own pre-conceived limitations, let go, and enjoy. Though she teaches yoga in its true traditional form, lightheartedness and laughter are a part of every class. Karrie regards Noah Williams and Kiki Flynn's instruction, to be the single most influence for the development of her yoga practice. It is because of their words of wisdom she founded Yoga Bala. 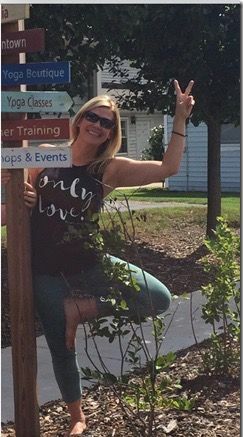 Stephanie King began her yoga journey over 8 years ago. She first became interested in yoga as strictly a form of exercise. It quickly became as much or more about the spiritual aspects as the physical aspects. Studying under her teacher Karrie AuBuchon, Stephanie completed two teacher training sessions reaching 500 RYT with Yoga Alliance. She now manages Yoga Bala an teaches classes and workshops. 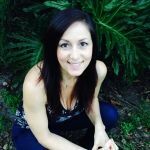 Through her yoga journey, Stephanie has attended numerous workshops with inspirational yogis such as Taylor Harkness, Bryan Kest, Chelsea Roberts, Dylan Werner, Meaghan Currie and Anton Mackey. Stephanie also frequents the Asheville Yoga Center in Asheville, North Carolina. There she has practiced with with many influential instructors such as Stephanie Keach, Shayla Worsely, Tim Miller, Meave Hendrix and Steve Ross, just to name a few. Practicing in Asheville and other locations she has traveled to allows her to feed her passion of exploring new yoga techniques and approaches. Stephanie’s classes are light hearted and not intimidating. As a Libra, she always seeks the balance between the effort and the ease of life, on and off the mat. Stephanie is always encouraging peace, love, laughter, and light. Carol is a retired school teacher and is now enjoying being a student of yoga and life. 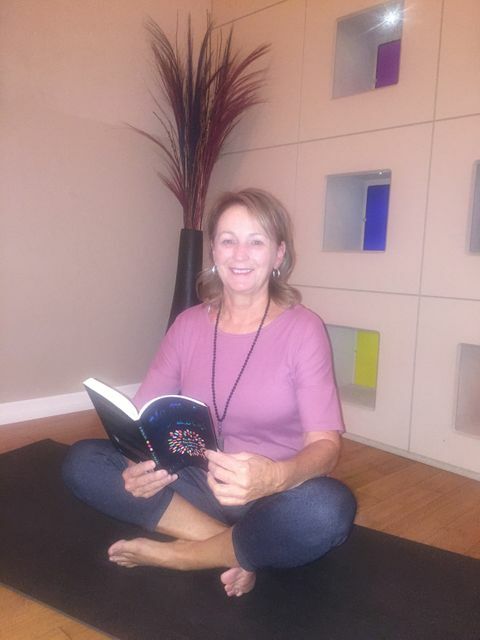 Carol began practicing yoga 9 years ago, she loved the benefits physically and mentally and decided to deepen her practice by joining in on her first Yoga Teacher Training in 2014 at Yoga Bala. Soon after Carol's graduation she was offered a teaching position. Carol enjoys teaching gentle and restorative classes, and loves to pass on the amazing benefits of health and wellness yoga has given her. Carol has been an instructor at Yoga Bala for two years now, and would like to continue learning and growing in her practice for ever. 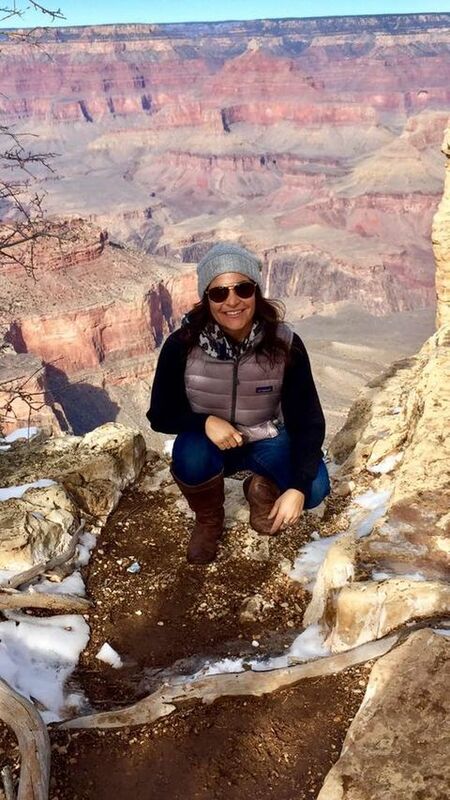 Hi – my name is Gina DelMonache. I am an Italian girl who loves to cook for my family, friends and basically anyone who likes to eat. ☺ I love being a mom, enjoy my ‘day job’ in marketing, drink a lot of coffee and aspire to travel more. I started practicing yoga in 2007 after trying a new yoga studio that had recently opened in Port Orange, Florida. After that first class with Karrie AuBuchon at Yoga Bala, I knew that I found the right teacher and that I wanted yoga to be a regular part of my life. It quickly became so much more than exercise to me. My practice grew from a few days a week to six days a week and I really started to notice the changes it was making in me; and so did those close to me. I became and remain excited to learn all I can about the many facets of yoga. I attended the Ashtanga Yoga Confluence in San Diego in 2013, where I was able to attend lectures and practice with the senior western teachers of Sri K Pattabhi Jois, including Tim Miller, Nancy Gilgoff and Eddie Stern. I completed my 500 hour teacher training with Karrie AuBuchon and plan to continue formal training along with a lifelong yoga practice. I believe everyone can benefit from yoga, the benefits are many and sometimes, they are very happily unexpected! I am always excited to share what I love and have learned about yoga and I hope it is that passion you feel when you practice with me. Lori attended her first yoga class in 1999 and fell in love. She tried many styles of yoga during the subsequent years. Lori became certified in Corporate yoga in 2008 and Radiant Child Yoga in 2009. She obtained her (220 hr) Level 1 Kundalini Yoga Certification in 2010 and completed 1 of 5 (62 hr) Level 2 modules during 2012. Desiring more training in traditional yoga, Lori completed the (200 hr) Ashtanga Yoga Immersion with Karrie AuBuchon. All eight limbs of yoga are a lifelong practice for Lori. Her next training is to teach yoga to Veterans with PTSD. Lori teaches breathing and meditation classes, crystal bowl meditations and gentle yoga classes. My true yoga journey began last year when I decided to take the 200 RYT training with Karrie AuBuchon. I was first enlightened by yoga when I was around 7 years old & a competitive gymnast. Yoga was introduced to me as a way to relax and stretch all the muscles used in the intense sport. Throughout my teenage years, I found Bikram yoga to satisfy a craving for yoga but, something was missing… In my early 20's, I lightly touched on some other styles of yoga such as Aerial and Hatha but, was longing for a studio where I could call “home”. This meant the right teacher with the right style of yoga that fit what I was looking for. January 2016 it all finally clicked at Yoga Bala with the Ashtanga Yoga Practice! I knew becoming a yoga teacher was my path, after I achieved my Bachelor's of Science Degree in Alternative Medicine. 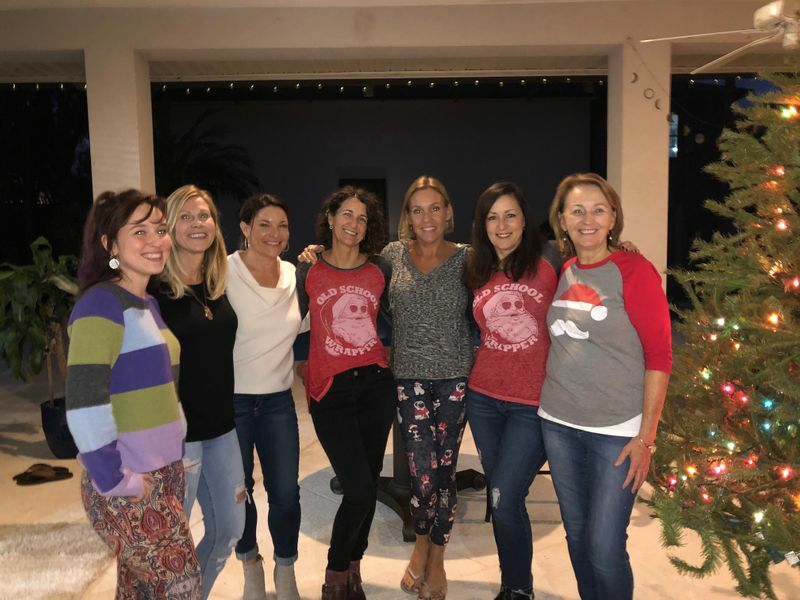 Since I have taken workshops with the infamous Kate Potter and have continued educating myself with certification’s in yoga to help others heal in natural ways. I keep my classes genuine to what yoga is all about, teaching the fundamentals of yoga, offering modifications and adjustments for proper alignment in postures, to help achieve the true benefits of the practice. I have unconditional love for this life, and all the people that are in it, I teach to share the love and light with you!